Power At Heavy Duty: 0.37 kW. Special Motor design can work on UPS. It is capable of priming up to 3 meters static suction lift without a foot valve, at rated head & discharge. Unique motor design that can function on UPS. Light weight pump for easy handling. The Thermal Overload Protector (TOP) prevents the pumps motor from getting burned and damaged. 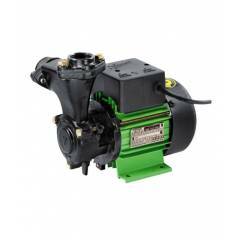 This low-on-maintenance pump is very light in weight and really easy to handle.. Working well. But packing was the best. I believe it churns out more than 0.5 HP. Water push is more than expected. 8 of 8 users found this review helpful. Was this review helpful? Excellent and more than value for money. I would recommend every one to go for it.